The design of this striking Cuff Bracelet consists of multiple strands of silver metal wire. Each individual curved strand is adorned with a single silver stipplemark accent, which add a tasteful sparkle... Read more. 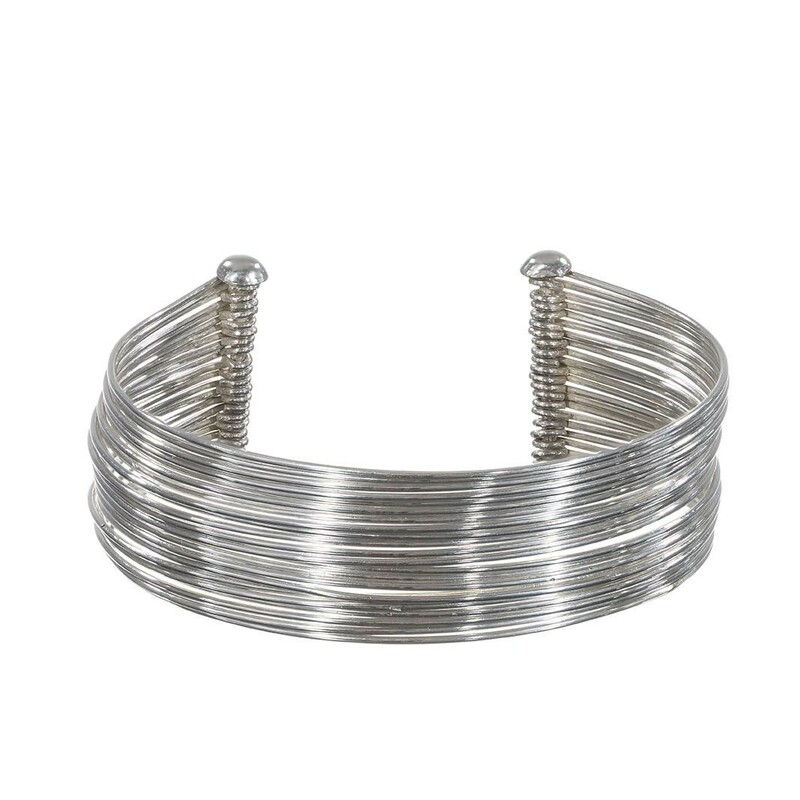 The design of this striking Cuff Bracelet consists of multiple strands of silver metal wire. Each individual curved strand is adorned with a single silver stipplemark accent, which add a tasteful sparkle to your wrist. The stacked design of this 92.5 sterling silver piece is both stylish and trendy, adding on layers without the hassle. Handcrafted in Bali. *Please note this is an adjustable bracelet size M (band measures 7.25 inches round on inside) and will adjust comfortably to half inch either way.